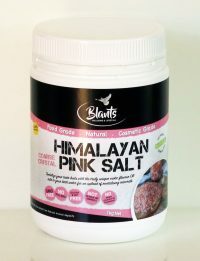 Blants NZ has found you a pure, concentrated, quality, Coarse Himalayan Pink Salt at a great low price. 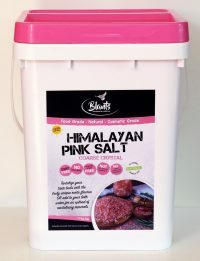 This food grade salt is free from environmental pollutants, with no additives – no colourants, flavouring or flow agents. It is non-GMO and fumigation-free. It contains 84 trace elements and minerals that occur naturally in the earth. 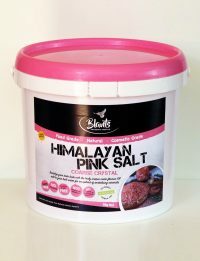 The striking pink colour is indicative of its rich and varying mineral content. 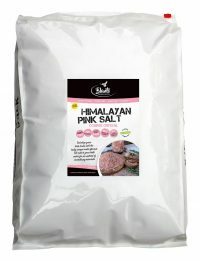 Our salt is sourced from a secluded region in the Himalayas. Our supplier gives a percentage of their profit back to the local community to support programs that help people with disabilities to find employment. Change ordinary bath water into a mineral smorgasbord. 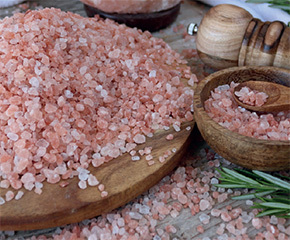 Bathing with Himalayan Pink Salt is a truly refreshing experience for mind & body. In the bath – add 2-4 cups to warm water, lie back and relax for at least 15 minutes. You can use ½ cup in a warm foot spa while you relax in the evening. It makes a great shower scrub – rub a handful into your skin for a revitalising pick-me-up. Of course, you can also use it in the kitchen. It has a sensational flavour, as well as being purer and higher in mineral content than table salt. Available online in NZ in 1kg, 5kg, 11kg and 20kg. For wholesale and bulk buy Himalayan, please contact us.